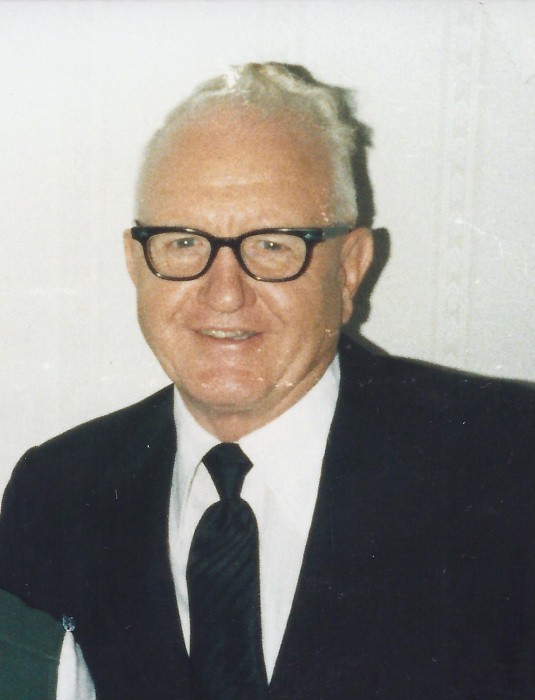 Obituary for Jack E. Benninger | Robert L. Snyder Funeral Home and Crematory Inc.
Jack E. Benninger, age 92, formerly of 134 East Ave, Greenville, PA, died on March 28, 2019 at St. Paul’s where he was a resident. Jack was born October 22, 1926, in Van, PA to James A. and Leota (Berlin) Benninger. He graduated from West Middlesex High School in 1945. He enlisted in the U.S. Air Force and served during World War II. He married Ellen K. Stevenson on October 22, 1948. She survives. Rev. Benninger began pastoring his first church at Idana, Kansas in 1953 and graduated in 1954 from Miltonvale Wesleyan Methodist College, Miltonvale, Kansas. After that he pastored churches in the Allegheny Wesleyan Methodist Connection at Isabella, PA, Dixonville, PA, Johnstown, PA, Canal, PA, Akron Kenmore, OH, New Castle, PA, Indiana, PA, Rimersburg, PA and Zion (Sandy Lake), PA. He retired from pastoring in 1998 after 45 years of full-time ministry. After retiring, he was the supply pastor at the White Memorial Church in Struthers, Ohio, two different times and then later, filled in at the Linesville Pilgrim Holiness Church in Linesville, PA for a period of time. He loved visiting people including a ministry of visiting in many nursing homes. He loved working for his Savior, Jesus Christ. Jack was a member of the North Salem Wesleyan Methodist Church. In addition to his wife Ellen, he is survived by two grandchildren: Beth Ellen Eggleston and her husband, Darren, of Columbus, OH; and Jack E. Benninger II and his wife Ruth, of Hilliard, OH; a sister, Carolyn Deets and her husband Dr. Sam, of Cochranton, PA; one sister-in-law, Barbara, of Brooksville, FL; two great-grandchildren: James and Evan Benninger, of Hilliard, OH; plus nieces, nephews, and cousins. He was preceded in death by his parents; a son, Clarence E. Benninger; a sister, Leota Benninger Reynolds, and two brothers, James A. Benninger, Jr. and Dr. Robert A. Benninger. The funeral service will be held at 2:00 pm on Monday, April 1, 2019 at the Robert L. Snyder Funeral Home and Crematory, Inc. 3223 Perry Hwy., Sheakleyville with Rev. Michael D. Marshall officiating. Jack will be laid to rest at the Stevenson Cemetery. Military Honors will be accorded by Reynolds VFW Post 7599.